Verizon Wireless has just made the LG Chocolate 3 available after only being announced late last week. The Chocolate 3 is the third generation model, not including the spin-offs, of the “LG Chocolate” series. What makes this phone stand out from rest is the inclusion of the Rhapsody Subscription Service through the V Cast Music. This is wonderful for music fanatics since they will now have unlimited wireless access to over 5 million songs high quality full length songs available in the Rhapsody library. And just like the LG Muziq, the Chocolate 3 sports a FM-transmitter to broadcast the music on your phone to your car’s stereo. In addition with a multitasking-supported back end, you’ll never have to stop listening to music when you wish to read/send messages, browse your contacts/web, or do most other tasks. Just like most phones on the market, excluding the iPhone, the Chocolate 3 doesn’t have any built in flash-memory storage, however it supports the use of up to 8GB microSD cards. 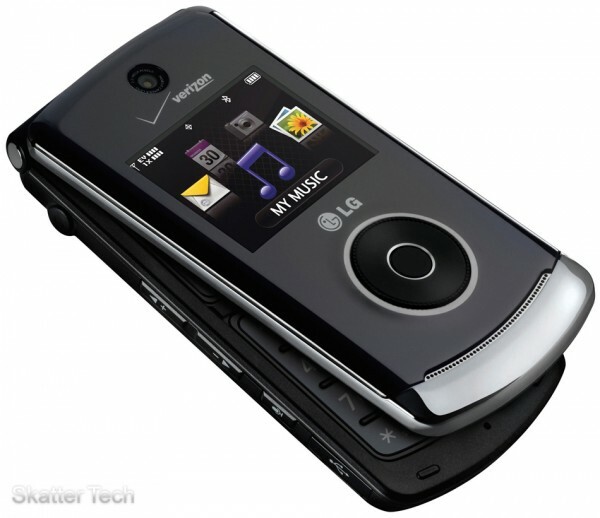 Asides from the music components, the LG VX-8560 (“the real name”) also remains quite a robust phone. It sports Bluetooth v2.1, V Cast Navigator, 2.0 mega-pixel camera/camcorder, Mobile Web/Email/IM, Speakerphone, Voice Commands, and many more features. Although battery life with playback hasn’t yet been officially benchmarked, they do advertise 4.5 hours of talk time. The LG Chocolate 3 is now available for purchase on VerizonWireless.com and in Verizon Wireless Stores. The phone will cost new customers $129.99 after a $50 mail-in rebate and require a new two-year contract. P.S. – (07/15/08) – We just got a hold of the Chocolate 3, so expect an in-depth review soon! And a special thanks to the Verizon Wireless PR folks who have been extremely helpful!